US western The Son will end with its upcoming second season. 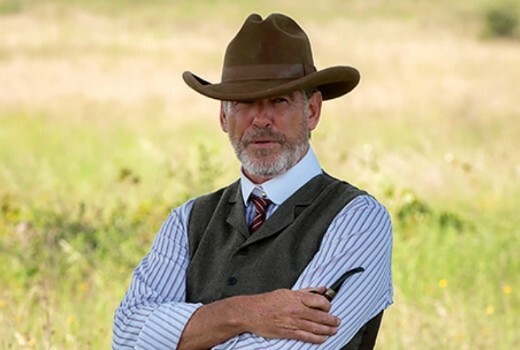 The 10 part series based on the 2013 book of the same name by Philipp Meyer features Pierce Brosnan as a Texas cattle baron who takes an interest in the oil industry. In the second season, Eli McCullough will stop at nothing to secure his legacy against the backdrop of the oil industry of 1917, despite the internal struggles he faces with his son Pete. Meanwhile, in 1851, young Eli is now married and a respected warrior among the Comanches. Then a 1988 timeline is introduced in which Eli’s granddaughter Jeanne Anne McCullough is confronted with a long-buried family secret. The Son airs in Australia on SBS. The 1988 bit is the end of the novel so they are concluding it. If it had been a hit they wouldhave dragged it out more, but the methodical slow pacing was one of the criticisms of S1.